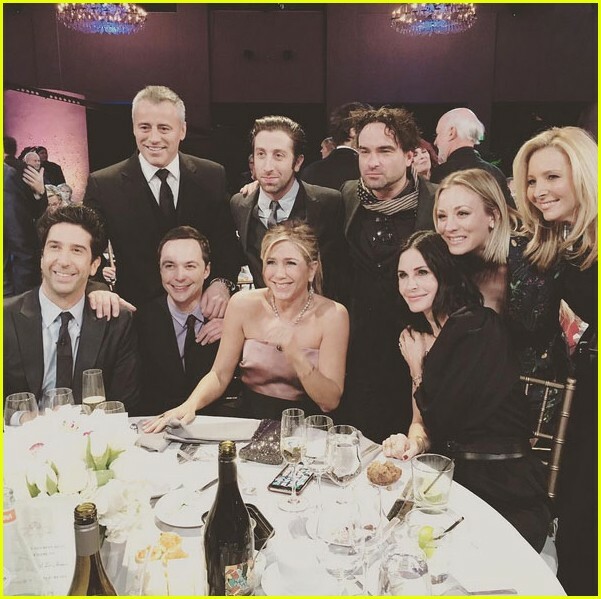 'Friends' Cast Reunites. . Wallpaper and background images in the Friends club tagged: friends cast photo 2016. This Friends photo might contain brasserie, table à dinner, table à dîner, and bistro.